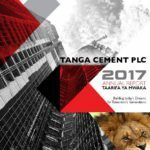 Tanga Cement Company Plc manufactures, distributes and sells cement and clinker products to the building, construction, roadworks and mining segment in Tanzania. The company produces Portland limestone cement with limestone extenders used for structural and non-structural cast constructions; reinforced concrete for civil and industrial works; and fillings, coatings, screeds and mortars as well as concrete for mining infrastructure and shafts. 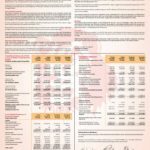 The company markets its cement products under the Simba Cement Brand. Tanga Cement Company is a subsidiary of AfriSam (Mauritius) Investment Holdings Limited; with production facilities in the city of Tanga in Pongwe and its head office in Dar es Salaam. Tanga Cement Company Plc manufactures, distributes and sells cement and clinker products to the building, construction, roadworks and mining segment in Tanzania. The company produces Portland limestone cement with limestone… READ MORE.